Trees help make every community a happier, healthier place to live. 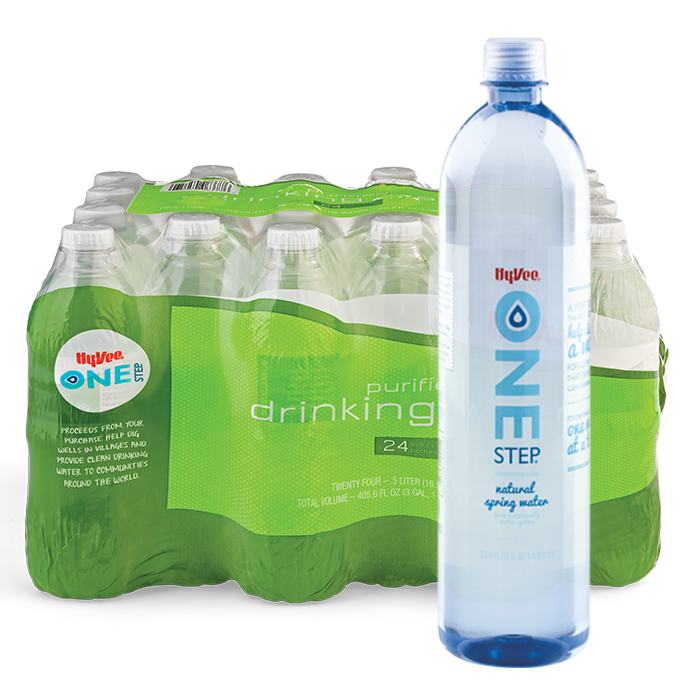 Sales of One Step Paper Products and Seventh Generation Cleaning Supplies contribute to our goal of planting 300,000 trees each year through the Arbor Day Foundation. 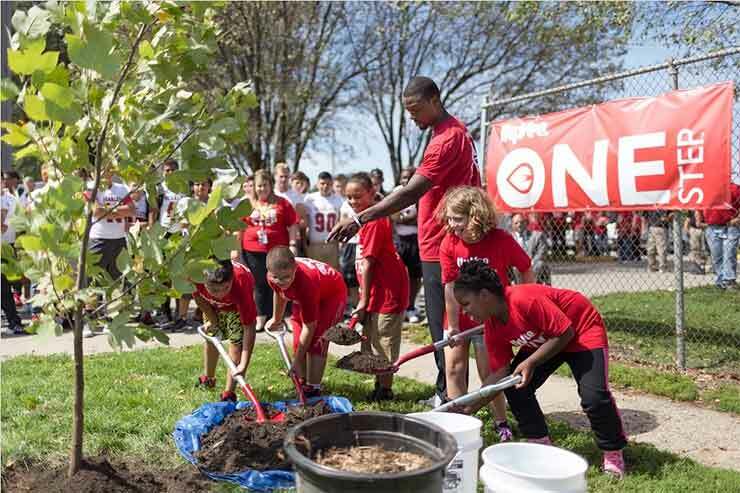 NBA star and Olympic team member Harrison Barnes helped with a One Step tree planting event at Des Moines East High School, and helped local students plant more than 40 trees near the school. 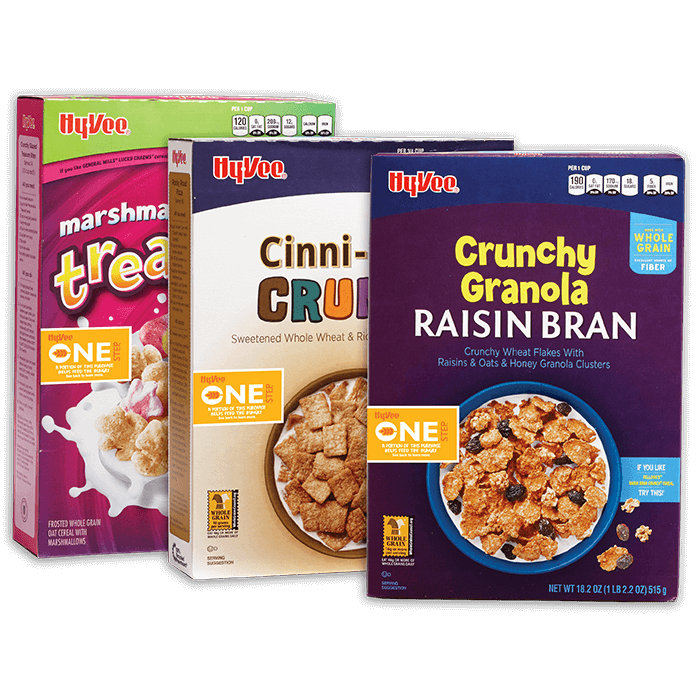 Each time you purchase Hy-Vee One Step Paper Products or Seventh Generation Cleaning Products, you're helping to improve the health of communities across the Midwest through the planting of new trees in areas damaged by flood or fire and in parks and neighborhoods. 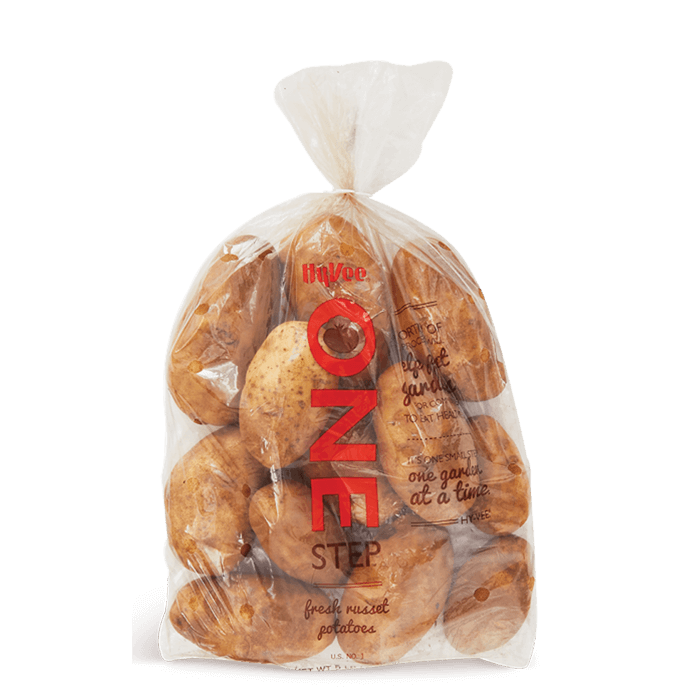 Thanks to the support of Hy-Vee customers purchasing One Step Paper Products, we've planted more than 200,000 trees so far through the Arbor Day Foundation. Now that our partner Seventh Generation has become part of the One Step program, we're on track to plant 100,000 trees each year throughout our eight-state region. Every Community needs the ecological and environmental benefits of trees. Trees supply two of life's essentials – oxygen and food. Beyond that, they have important practical, commercial and social value that affect a community's quality of life. 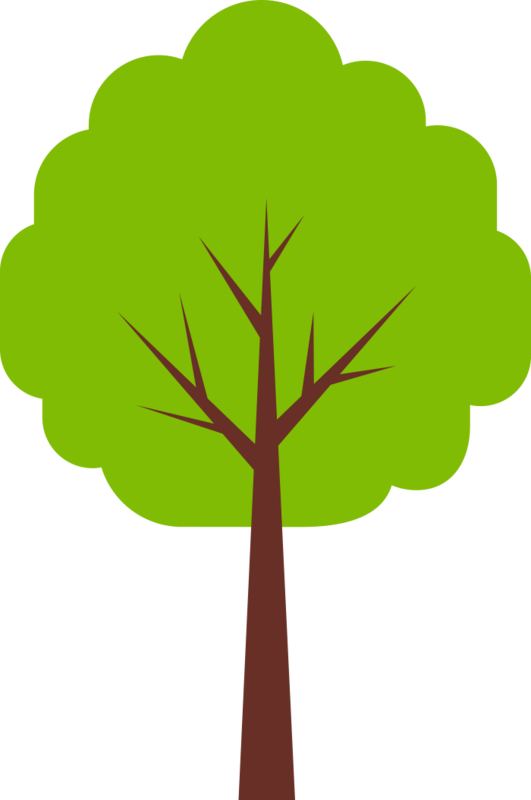 Among their many attributes, trees offer clean air and shade, they lower energy costs and they provide a means of storm water control. 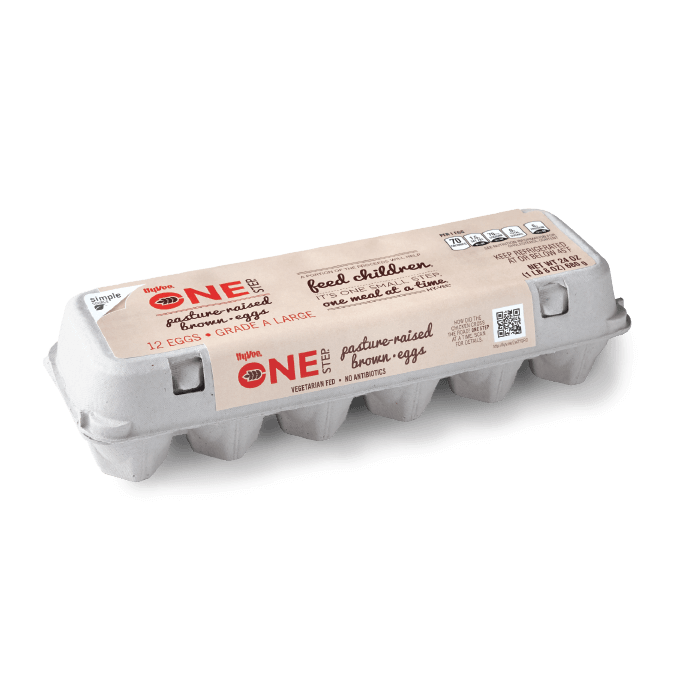 Thanks to the sales of One Step Paper Products, which are made of recycled materials, 14,000 trees have been planted in the flood-damaged Wilson Island State Recreation area near Council Bluffs, Iowa. 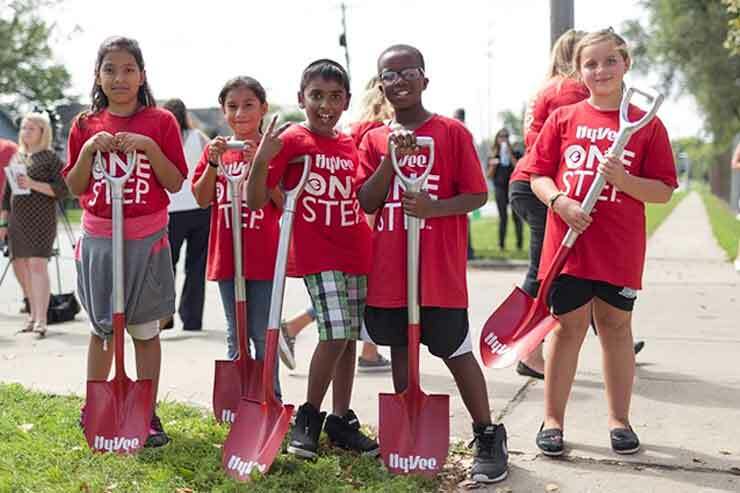 Hy-Vee will work with the Arbor Day Foundation to plant trees in neighborhoods, parks, and other public places. 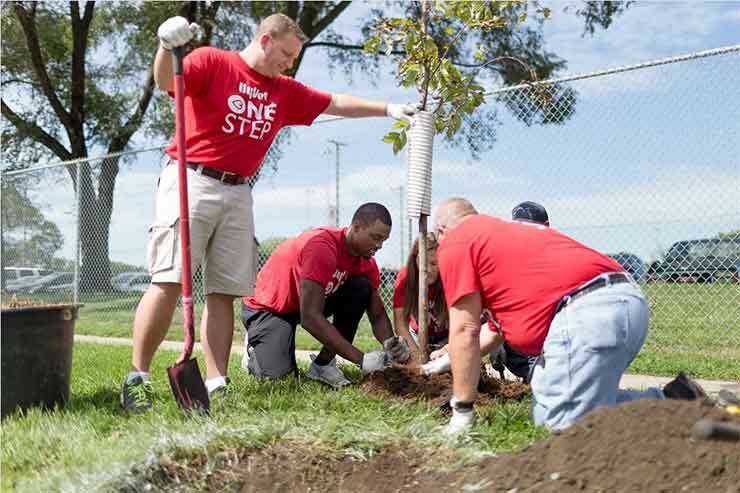 With our partner Seventh Generation as part of the One Step program, we’re on track to plant 100,000 trees each year throughout our eight-state region. Improve water quality by reducing runoff and erosion. Trees and shrubs along waterways slow flood waters, reduce erosion, cool the water for fish and wildlife and filter harmful runoff from adjoining lands. 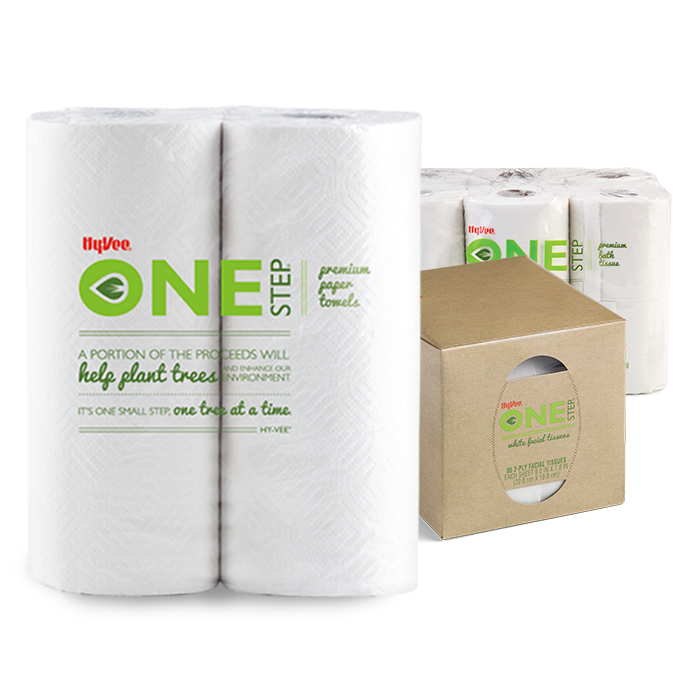 Buying 100% recycled Hy-Vee One Step Paper Products helps us plant trees in neighborhoods, parks and other public spaces.